Hey, ya’ll! 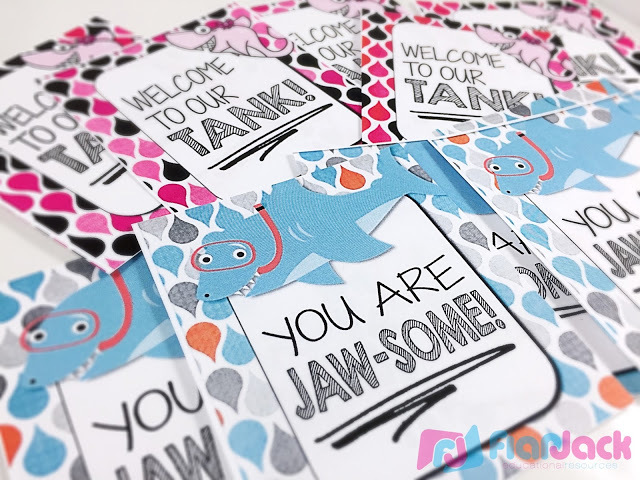 To celebrate Shark Week, I’m partnering up with a team of super bloggers who have some JAW-some freebies your students are sure to love! 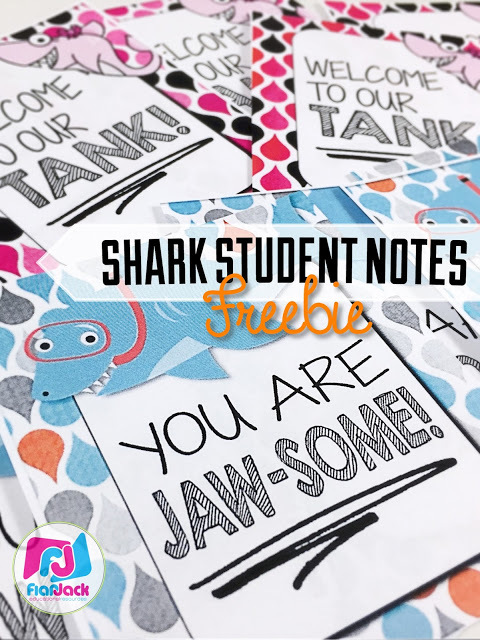 My shark-tastic freebie consists of some fun notes to give to your students at the beginning of the year and throughout. The notes are provided in an editable format so you can change the message to say whatever you want. To download my freebie, click here or on the image below. 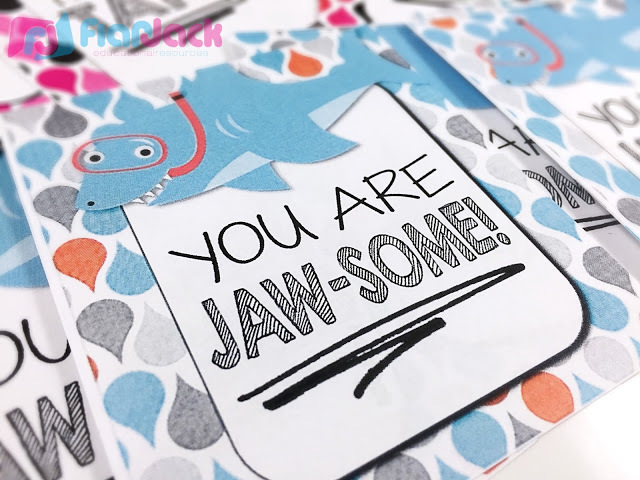 Now be sure to go for a swim and visit Hilary at the Primary Planet to download another fun freebie! Oh my goodness, these are the cutest! Thank you so much for such an adorable freebie! You are so talented with design! Can't wait to hand these out to my kids as a silent encouragement when they do something great. Thank you so much for joining our hop again, and it was wonderful to meet you this week! Thank you for taking the time to leave such a nice comment for me! Your freebie was adorable, can't wait to use it.